We already know Adele's 21 is the UK's biggest record this decade, but let's delve a little deeper, shall we? Extending back through musical history, we revisit the legendary albums that have sold millions and millions of copies worldwide. From Fleetwood Mac to Mariah Carey, see if your favourite album makes the list, and if you agree with the best selling albums of all time. 50. 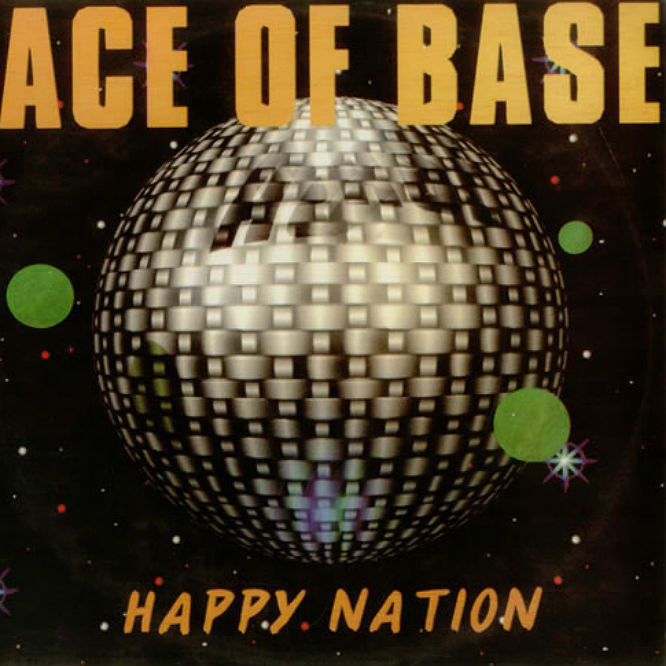 Ace Of Bass - Happy Nation: The Swedish pop group's 1992 LP has sold 23 million copies, reaching number 1 in 14 different countries. Yes, really. 49. 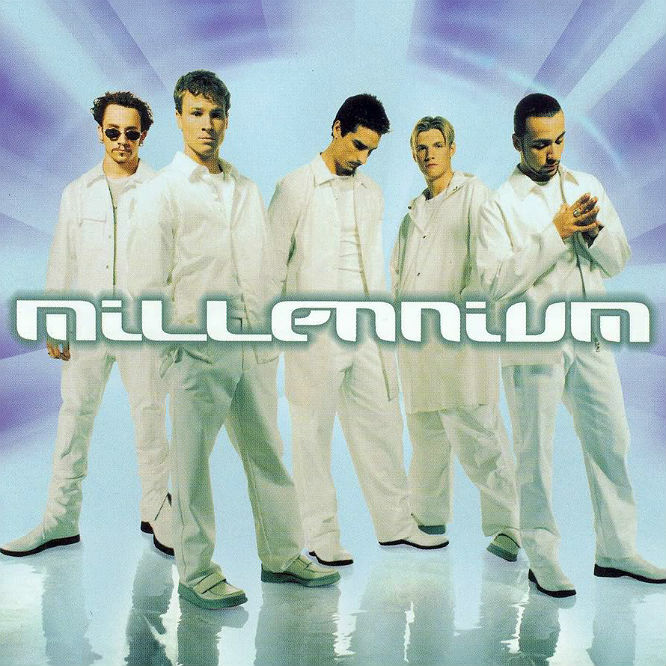 Backstreet Boys - Millennium: Remember when boybands ruled the world? The third album by the super-boyband has sold 24 million records since it's release back in 1999 and includes their biggest hit 'I Want It That Way'. 48. 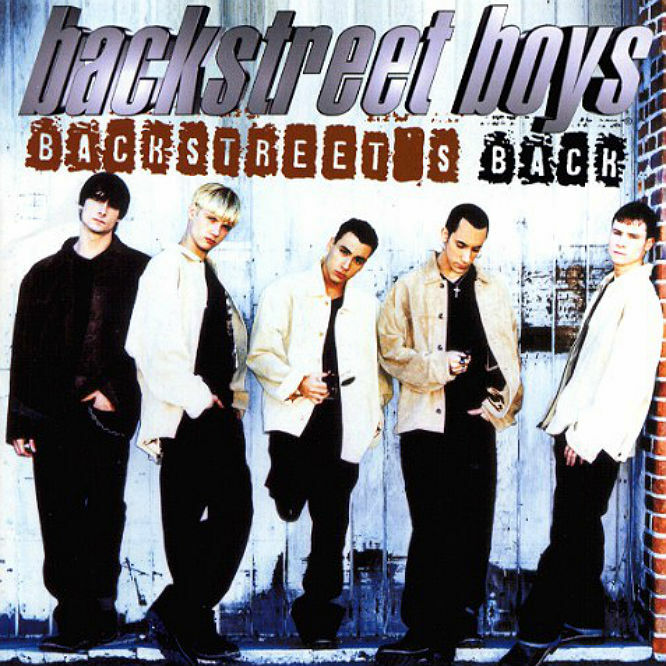 The Backstreet Boys - Backstreet's Back/The Backstreet Boys: Yes, them again. The compilation album of the boy band's debut and second album sold 24 million copies worldwide since its release. 47. 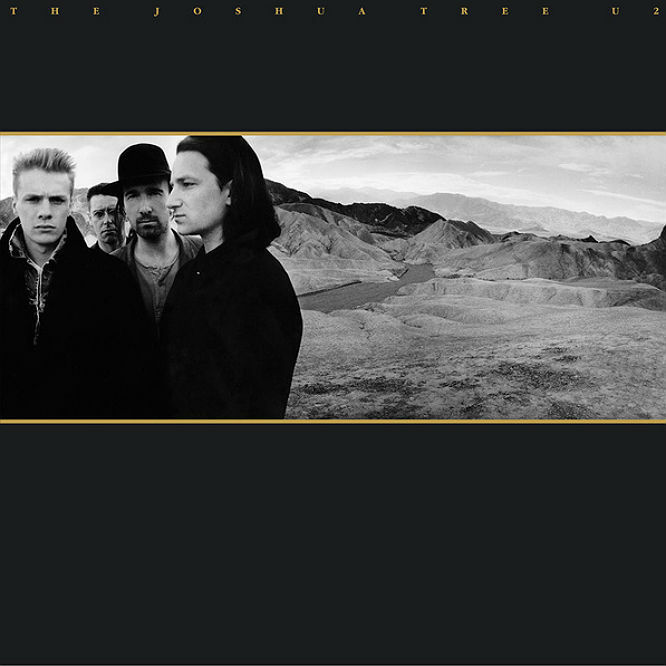 U2 - The Joshua Tree: Spawning U2's massive hit 'With Or Without You', their fifth studio album garnered much critical acclaim and has sold 25 million copies across the globe. It's influence, however, is arguably immeasurable. 46. 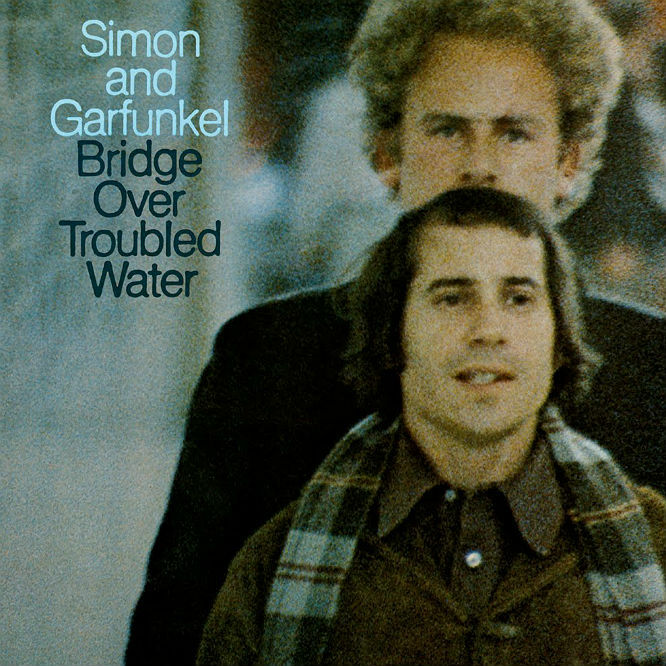 Simon & Garfunkel - Bridge Over Troubled Water: The last album by folk rockers Simon & Garfunkel was their masterpiece. Released in 1970 it has since sold 25 million copies, but the pair split after it's release despite its critical and commercial success. 45. 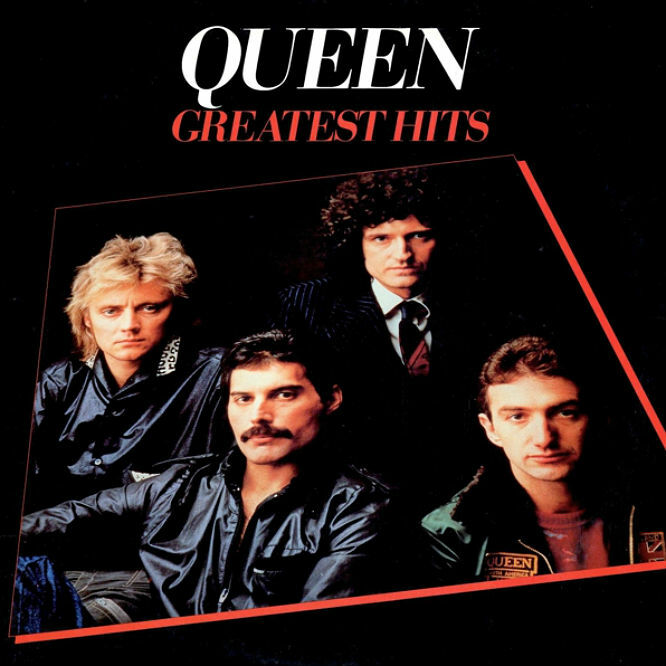 Queen - Greatest HIts: The popularity of Queen's rock songs shows no sign of slowing, and as such the band's compilation album of their best selling songs has itself sold 25 million copies. On its first release each region had a different track listing dependant on which songs had been most popular there. 44. 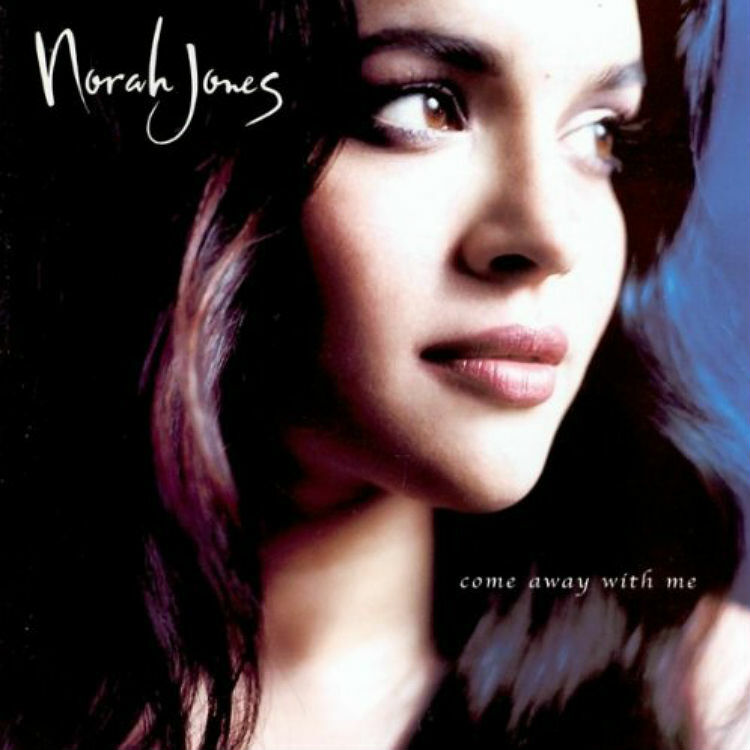 Norah Jones - Come Away With Me: Released in 2002, Norah Jones' jazz debut won eight grammy awards and received great critical acclaim, featuring as the top place in many 'albums of the year' lists. It was a commercial success too, and has now sold 25 million copies. 43. 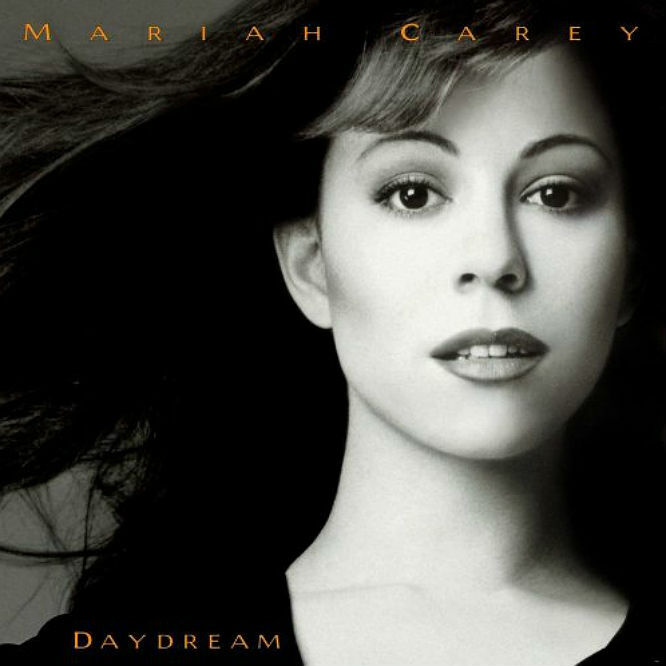 Mariah Carey - Daydream: The fifth studio album by the pop singer, and the first of her albums to appear on this list, Daydream was released in 1995 and had a more R&B influenced sound than anything Carey had put out before. The new twist proved popular, and it has since sold 25 million copies. 42. Madonna - True Blue: Madonna's 1986 album was dedicated to her then husband Sean Penn, and featured the single 'Papa Don't Preach'. Considered her most outwardly girlish record, it's her first album in this list, selling 25 million copies. 41. 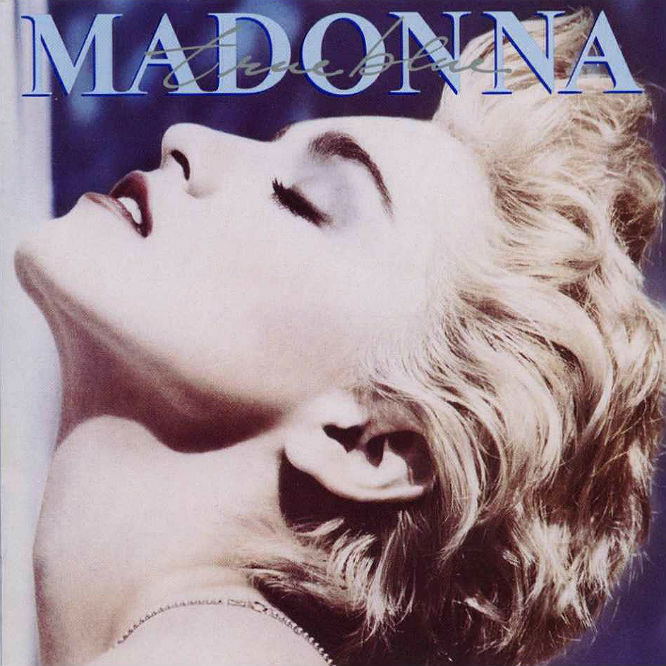 Madonna - Like A Virgin: Just above 'True Blue' Madonna's second album is packed full of dance pop anthems. Originally released in 1984 it was put out again in 1985 to include her hit 'Into The Groove', which joined her other smashes 'Like A Virgin' and 'Material Girl'. It has now scored over 25 million copies sold. 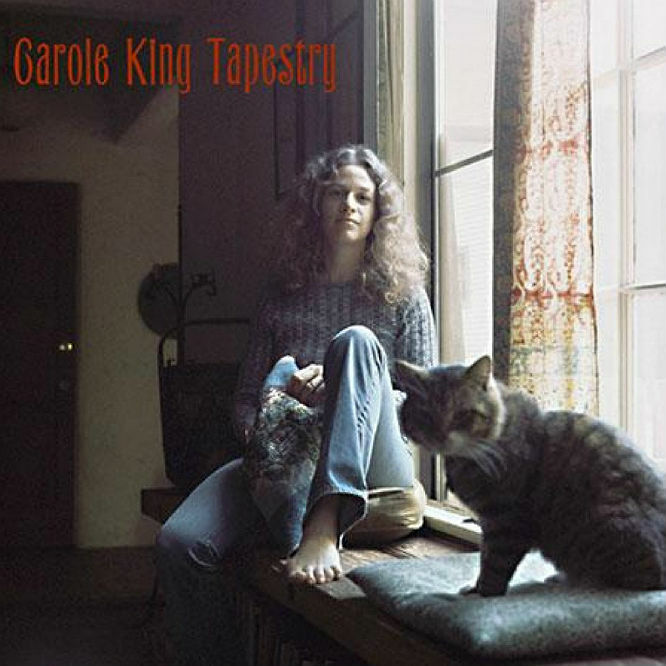 Carole King - Tapestry: This second album by the singer-songwriter Carole King has not only sold 25 million copies in its lifetime, but also won the grammy for album of the year in 1972. The lead single "It's Too Late"/"I Feel the Earth Move" climbed to number 1 on the Billboard Hot 100, and stayed there for 17 weeks. 39. 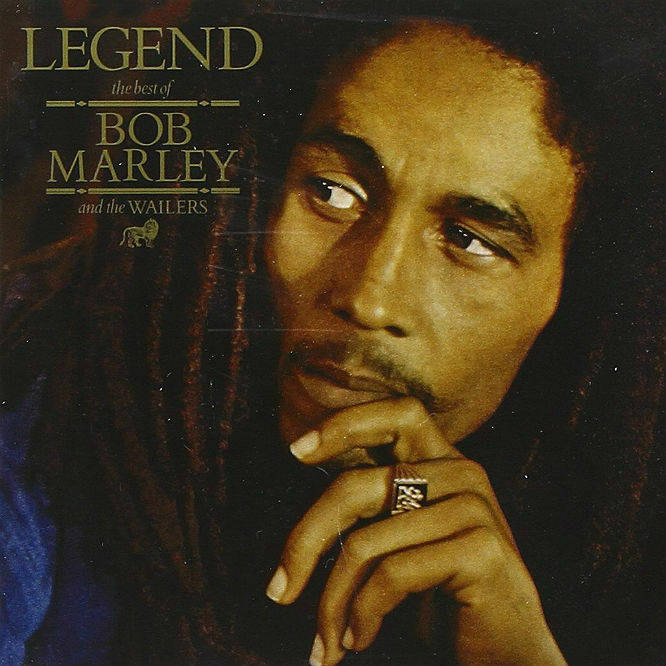 Bob Marley & The Wailers - Legend: The Best Of Bob Marley & The Wailers: Having sold 25 million records, Bob Marley's greatest hits is full of some of the world's best loved and well known tracks, including 'No Woman, No Cry' and 'One Love / People Get Ready.' To this day it still sells around 4,000 copies in the US each week. 38. 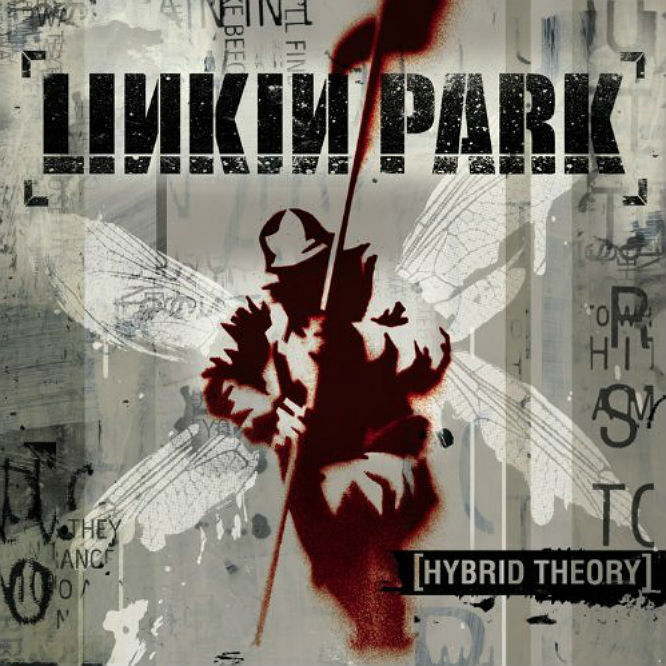 Linkin Park - Hybrid Theory: The nu-metal kings' era-defining debut is a cornerstone of alternative rock music, melding together metal and rap in ways never really imagined before its 2000 release. Audiences at 2014's Download festival were treated to a live performance of the album in its entirety for the first time ever, but physical copies of the album sold have hit the 27 million mark. 37. Britney Spears - ...Baby One More Time: Spears' debut features her biggest track and everyone's go to karaoke choice 'Hit Me Baby One More Time'. The song was originally intended for R&B group TLC but Spears claimed it after they rejected it, saying she knew it was going to be a hit. The strength of that single has helped shift 28 million copies since its 1999 release. 36. Grease: The Original Soundtrack From The Motion Picture: TELL ME MORE, TELL ME MORE. John Travolta and Olivia Newton-John's doo-wop fifties high school music film was a box office smash and the soundtrack followed in its footsteps, selling 28 million copies world wide. 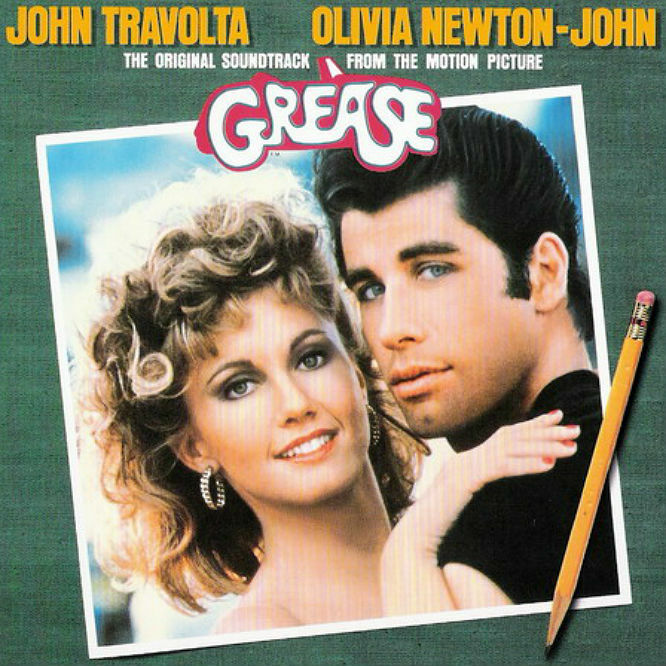 As well as Travolta and Newton-John, the album is performed by group Sh-Na Na and other cast members. The track 'Grease' is sung by Frankie Valli, of Frankie Valli and The Four Seasons. Other tracks include 'You're The One I Want' and 'Summer Nights'. 35. 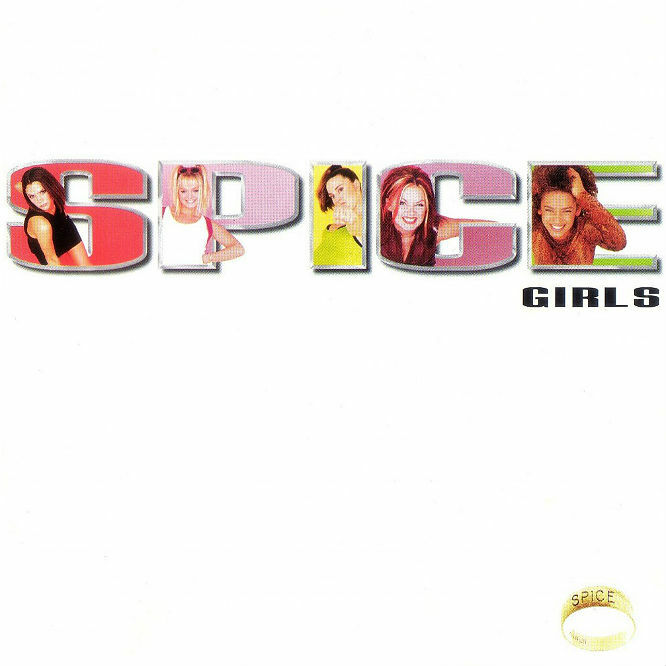 Spice Girls - Spice: The debut album by the British pop girl group, Spice was released in 1997 and featured their massive single 'Wannabe'. Bringing girl orientated pop back to the forefront, it has now achieved 28 million sales worldwide. 34. 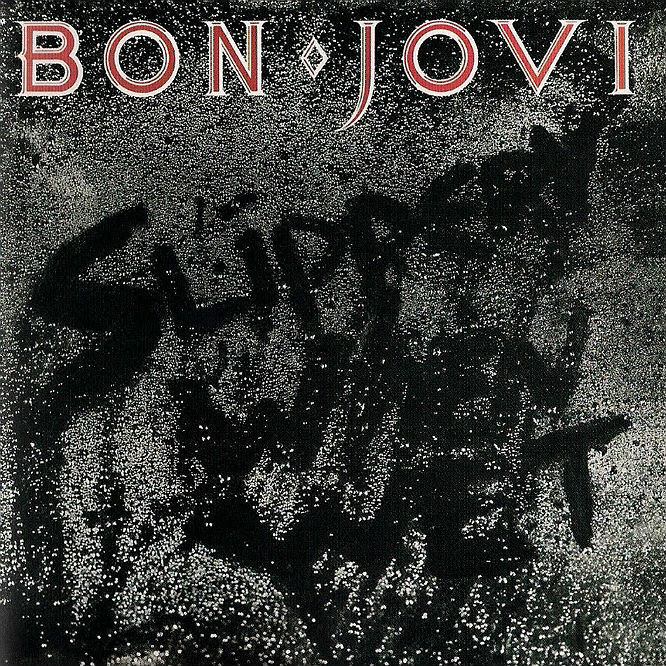 Bon Jovi - Slippery When Wet: Bon Jovi's 1986 album was truly a pinnacle of the eighties love of glam power rock. 'You Give Love A Bad Name' and 'Livin' On A Prayer' are both hits taken from the band's third album and are considered their most popular songs, helping to propel the album's 28 million sales. 33. 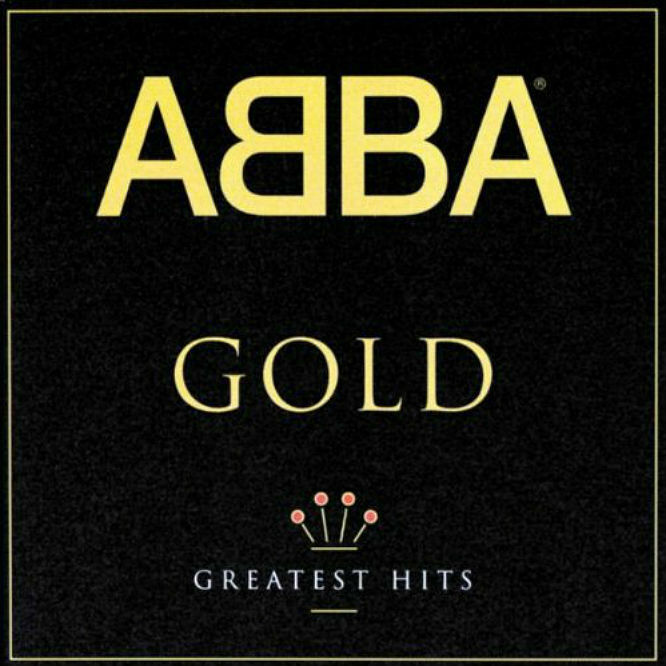 Abba - Gold: Greatest Hits: The Swedish pop group captured the world's attention across their career, making their greatest hits compilation sales exceed the 28 million mark. The album enjoyed a surge in popularity after the 2008 film 'Mamma Mia' starring Meryl Streep became a box office hit. Julie Walters singing 'Take A Chance On Me' is a highlight, but Abba's version is slightly more successful. 32. 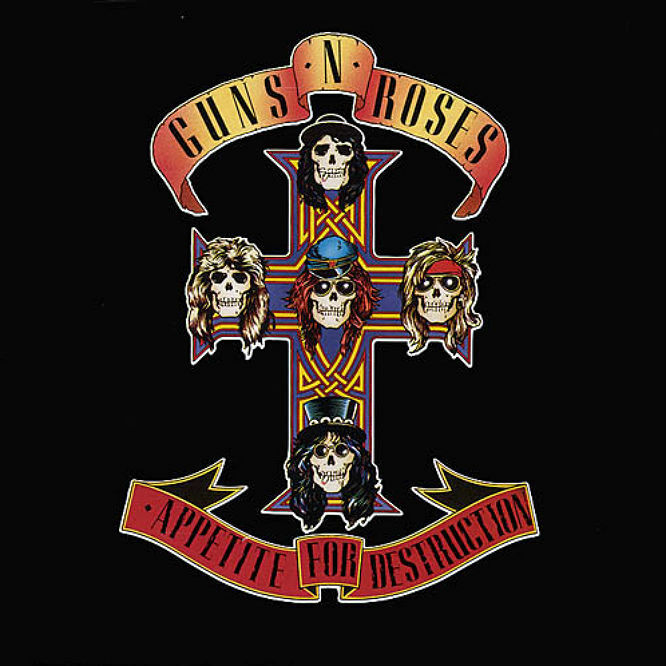 Guns N' Roses - Appetite For Destruction: The 1987 debut from the heavy metal californian band features both 'Sweet Child O Mine' and "Paradise City' making it not only one of the most successful rock albums ever, but the best selling debut. Collectively, it has sold 30 million copies worldwide since its release. 31. 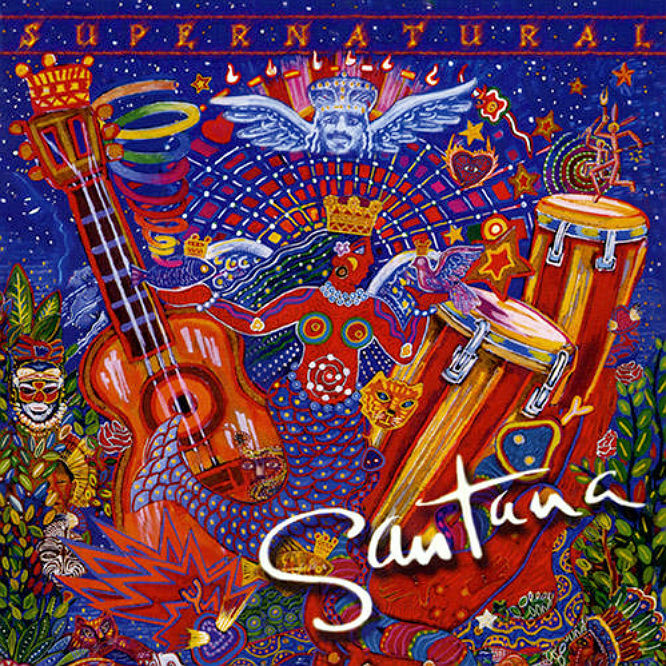 Santana - Supernatural: The incredible 17th album by latin rock band Santana won nine grammy awards after its release, going on to become a hit across the globe and sell more than 30 million copies. 30. 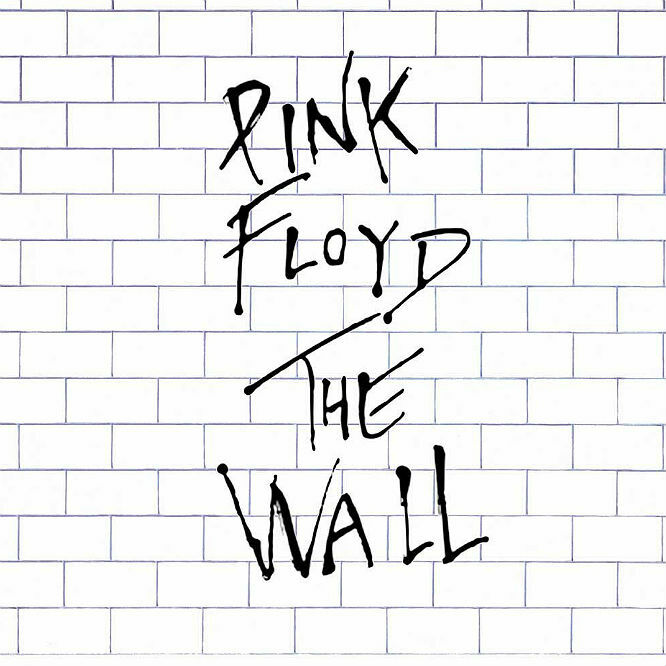 Pink Floyd - The Wall: Prog-rockers Pink Floyd released this double concept album in 1979 and its since sold over 30 million copies. It chronicles the life of character Pink, who struggles with abuse from school teachers, abandonment issues and the breakdown of his marriage until he seals himself off from society with a metaphorical wall - cheery stuff! It was inspired by Roger Waters frustration with the audiences on tour, where he'd imagine a wall between the crowd and himself. 29. 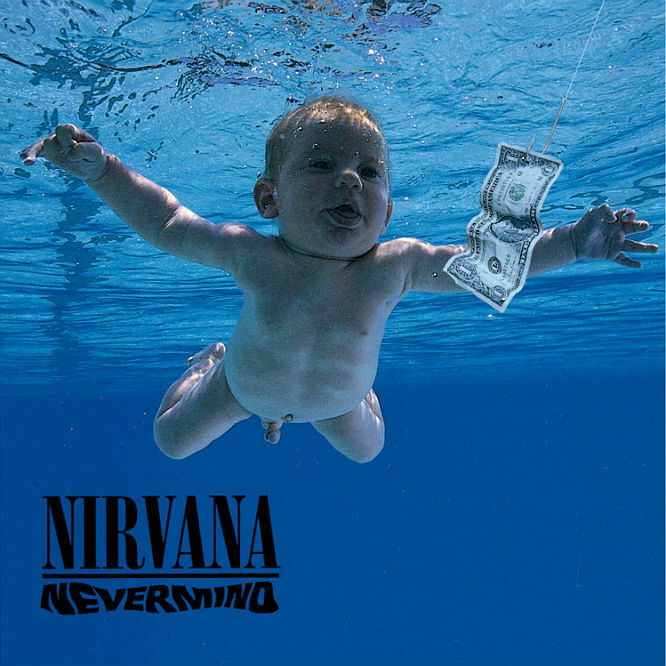 Nirvana - Nevermind: Blowing the 'difficult second album' idea to shreds, Nirvana's 1991 LP was the first to feature Dave Grohl as drummer, and launched Nirvana into stardom with the success of single 'Smells Like Teen Spirt'. The album has been credited for the mainstream success of grunge as a genre and its sales have now topped the 30 million mark. 28. 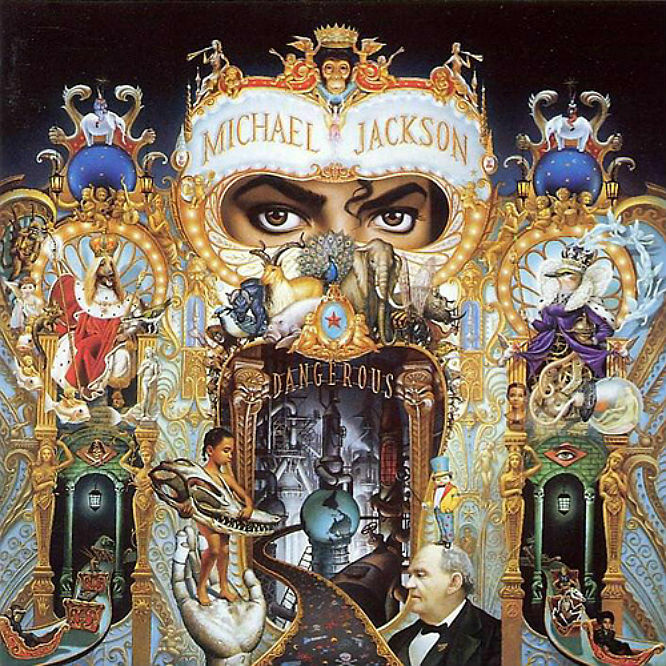 Michael Jackson - Dangerous: The 8th album from Jackson produced four top ten hits, including one of his most famous tracks 'Black Or White'. The album as a whole reached number 1 in nine different countries and has sold over 30 million copies worldwide. 27. 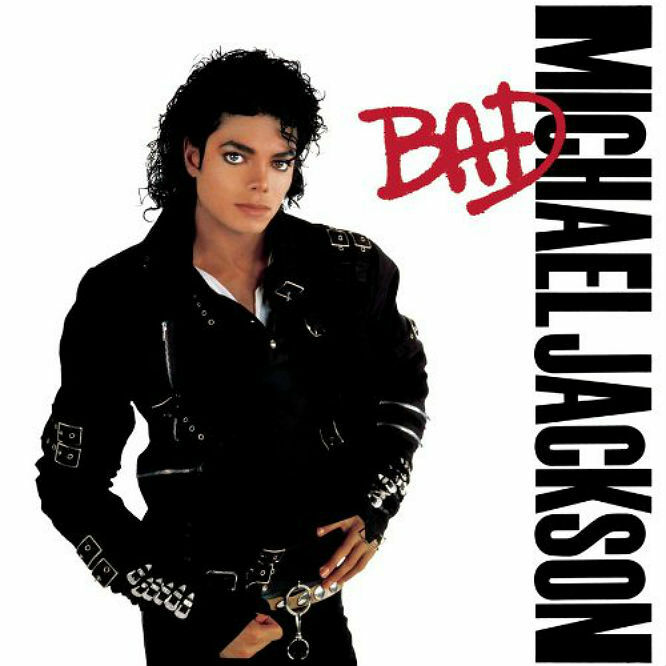 Michael Jackson - Bad: Coming in narrowly above Dangerous, Bad was Jackson's seventh album and scored five hits in the top 10, one of only two albums to achieve this, putting Jackson on the map as one of the biggest artists of the eighties. Nine out of eleven tracks on the album were released as singles, including 'Bad', 'The Way You Make Me Feel', 'Man In The Mirror' and 'Smooth Criminal'. The album has sold between 30 and 45 million copies. We should also be grateful for the accompanying film, Moonwalker - in which MJ turns into both a car and a rabbit, which is wonderful. 26. 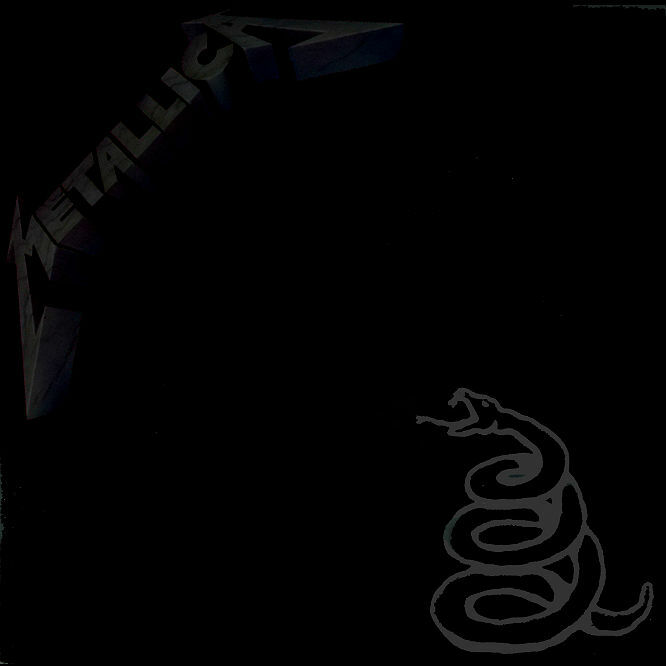 Metallica - Metallica: The self-titled fifth album by the heavy metal band (widely known as 'the black album') has sold way over 30 million copies and produced Metallica's best known songs, like 'Nothing Else Matters', 'Wherever I May Roam' 'The Unforgiven' and 'Enter Sandman'. Recording was reportedly troubled for the band due to disagreements with the newly hired producer Bob Rock. 25. 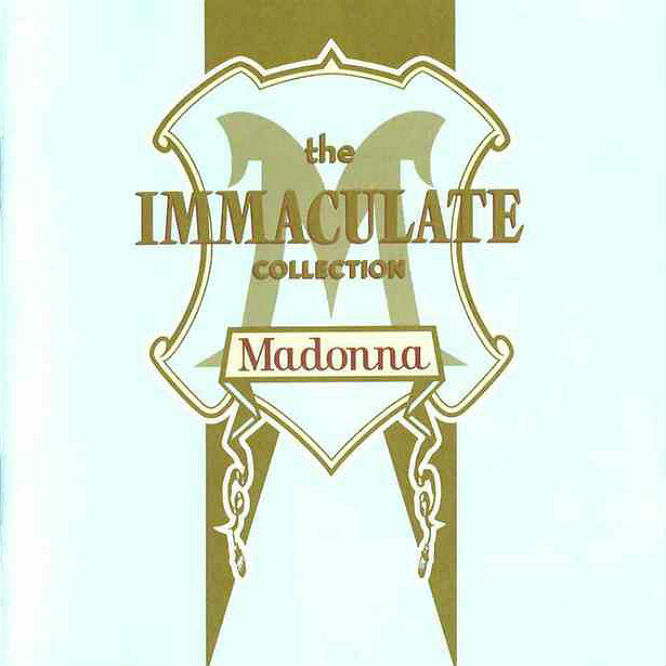 Madonna - The Immaculate Collection: The compilation of Madonna's greatest hits was released in 1990 and featured new remixes of fifteen of her greatest tracks as well as two new songs 'Justify My Love' and 'Rescue Me'. It's the best selling compilation album by a solo artist ever, and has sold over 30 million copies worldwide. 24. 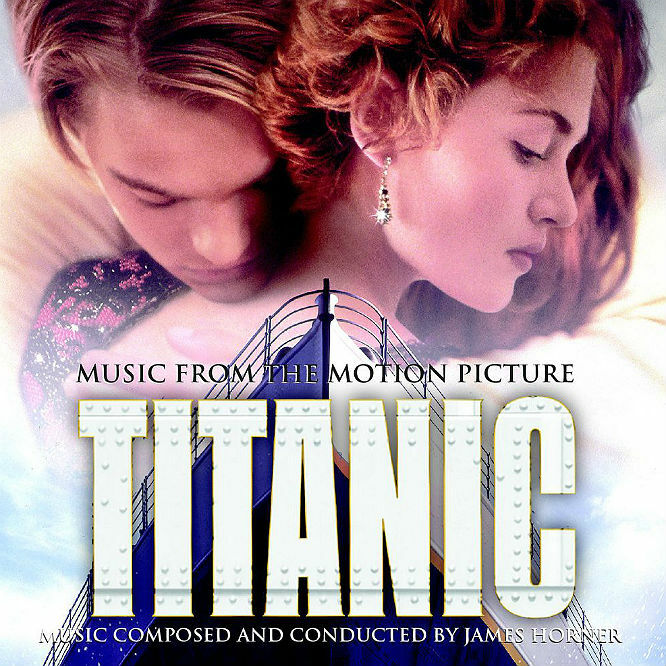 James Horner - Titanic: Music From The Motion Picture: DiCaprio and Winslet's tragic romance may have made the film what it was, but the success of Celine Dion's trademark 'My Heart Will Go On' boosted this soundtrack to become one of the top selling records ever. The rest of the album is primarily orchestral music but every track on the album was written by James Horner, including Dion's classic. The album has now sold over 30 million copies. 23. 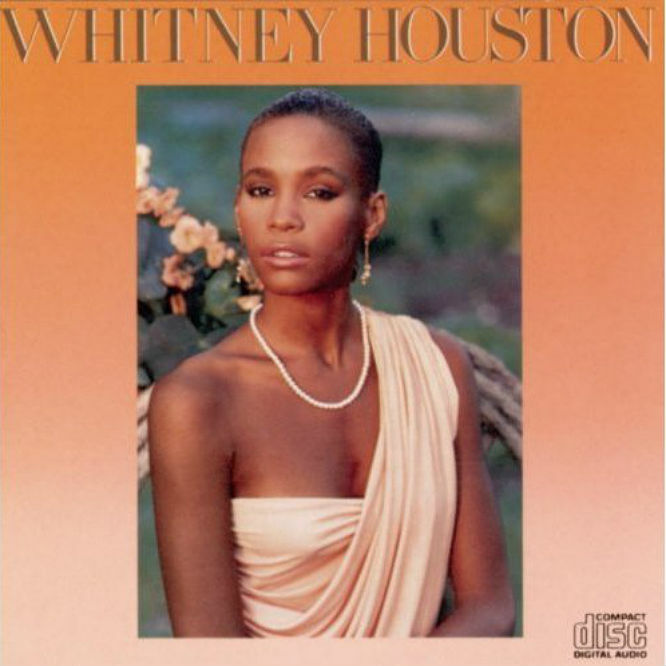 Whitney Houston - Whitney Houston: The debut album by Houston didn't immediately take off, but sales picked up in the summer of 1985 after its February release. It went on to top the Billboard 200 chart for 14 weeks and produce three number one singles 'How Will I Know', 'Saving All My Love For You' and 'Greatest Love Of All.' It has since sold over 30 million records. 22. 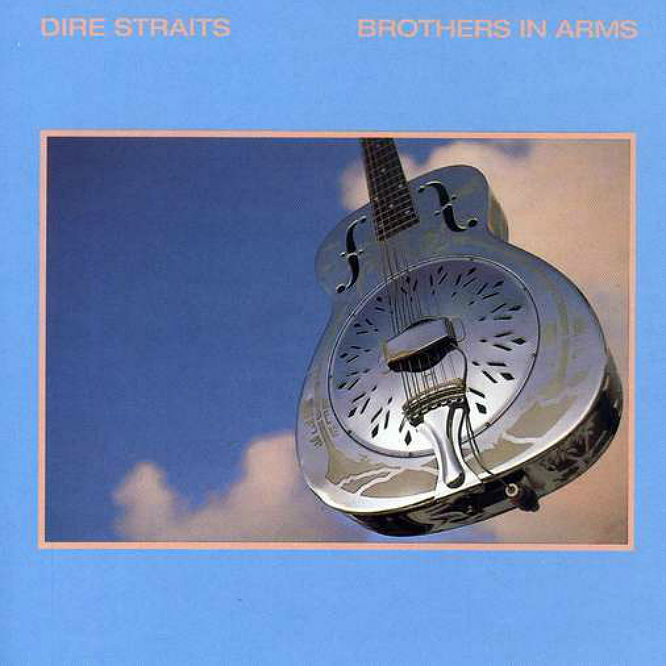 Dire Straits - Brothers In Arms: The 1985 album by the alt rockers Dire Straits spent 10 weeks at number 1 in the UK album charts and nine weeks at number 1 in the US's Billboard 200, and a massive 34 weeks at number 1 in the Australian album charts. It was also the first album to sell 1 million copies in CD format and has sold 30 million copies collectively since its release. 21. 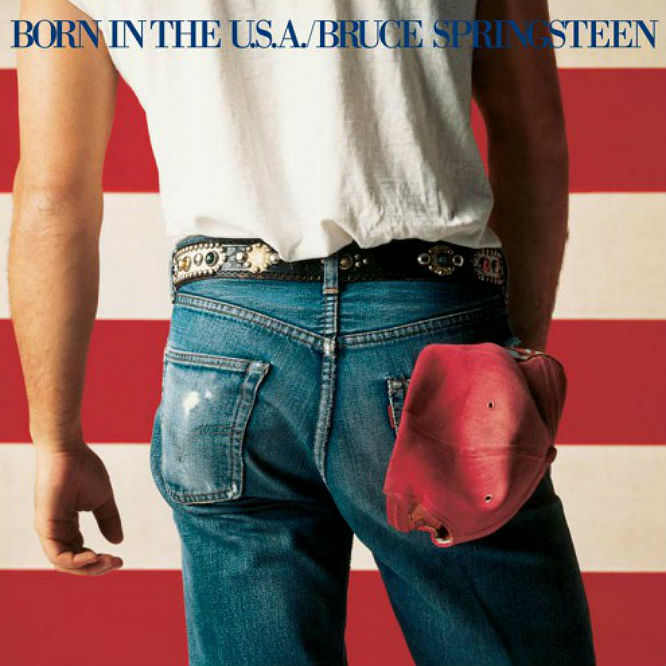 Bruce Springsteen - Born in The USA: The Boss' seventh album is the musical equivalent of the American Dream, full of euphoric radio-friendly rock tunes infused with synthesised pop influences. With lyrics full of themes of hope and youth, it was a massive mainstream success. Singles like 'Dancing In The Dark', 'Glory Days' 'I'm On Fire' and 'Born In The USA' propelled the album to more than 30 million sales. 20. 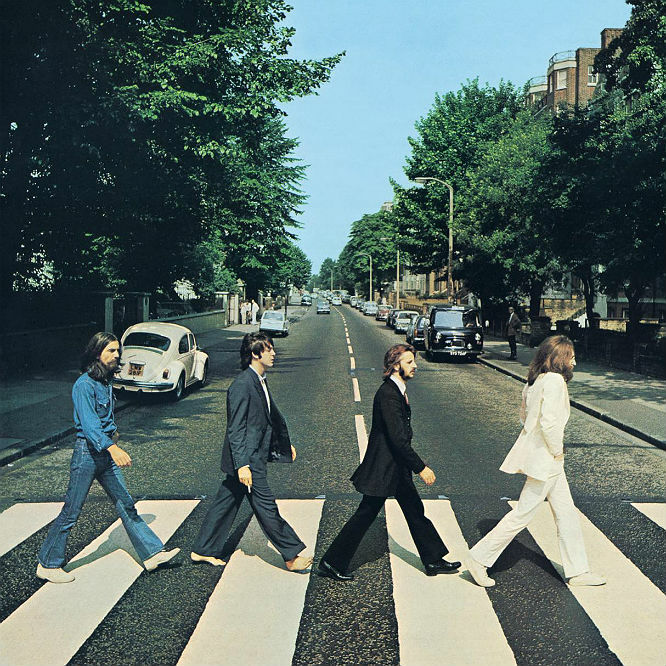 The Beatles - Abbey Road: 1969's eleventh studio album by the Beatles was the last album fully written by the band in session before they split, as 1970's Let It Be drew mostly from pre-written and recorded material. Lennon did not perform on four of the tracks and left the band when the album was released. A double A side single was put out - 'Something / Come Together' - and the album reached number 1 in the UK and the US. The album's iconic artwork has contributed to massive sales of over 30 million. 19. 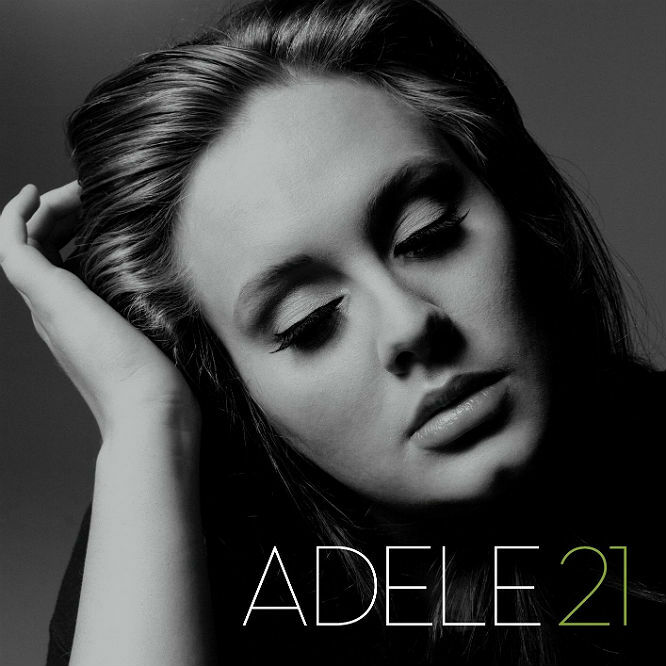 Adele - 21: Released in 2011 and the most modern album on this list, 21 was inspired by Adele's break-up and is an album threaded with heartbreak and soul-searching lyrics. It is the biggest selling album of the decade in the UK, and topped the US charts for 25 weeks, longer than any other artist since 1985. The strength of tracks 'Someone Like You', 'Rolling In The Deep' and 'Set Fire To The Rain' have meant the album has exceeded 30 million sales worldwide. 18. 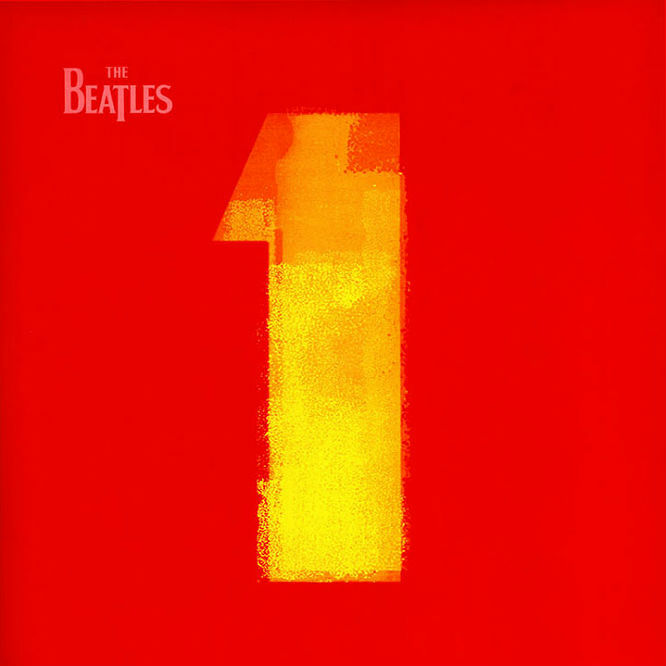 The Beatles - 1: The Beatles compilation album features almost every number 1 single released in the UK and US by the band, making it the definitive Beatles record if you want all their hits. It was released in 2000 on the 30th anniversary of the band's split in 1970. It has now sold 31 million copies. 17. 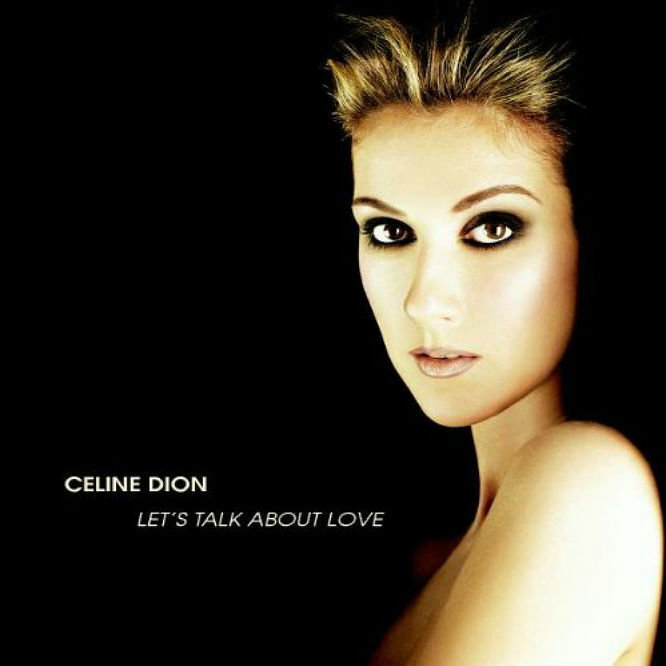 Celine Dion - Let's Talk About Love: Released in 1997 and Dion's fifth studio album, Let's Talk About Love has sold over 31 million copies. It included 'My Heart Will Go On' (from the Titanic soundtrack) won 4 grammy awards, whilst the album itself was nominated for the grammy for 'best pop vocal album'. 16. The Dirty Dancing Soundtrack: The soundtrack for the 1987 film has amazingly sold over 32 million copies and album spent 18 weeks at number 1 in the US when it was released. Bill Medley and Jennifer Warnes' '(I've Had) The Time Of My Life' was the film and the soundtrack's runaway success, but the whole album features tracks from The Ronettes, The Blow Monkeys and more. 15. 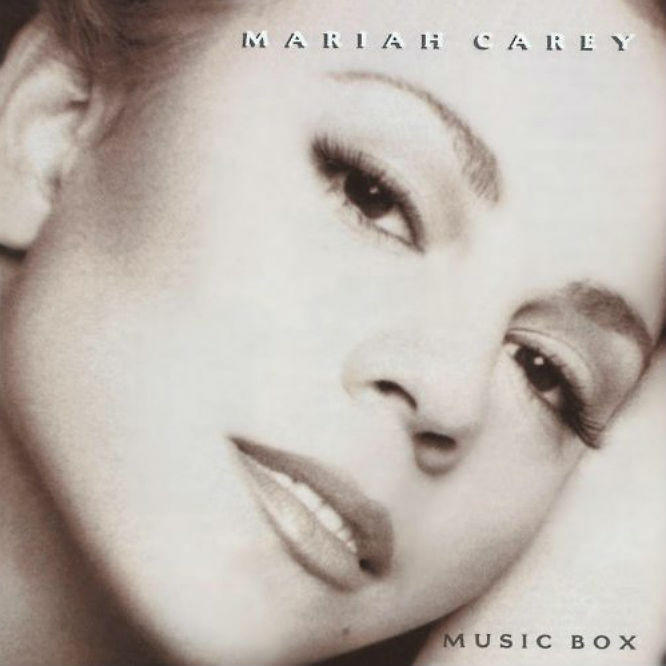 Mariah Carey - Music Box: The pop singer's third album, released in 1993, is a mix of ballads and R&B. Four singles were released from the album, including 'Dream Lover' and 'Hero', earning Carey grammy nominations for best pop vocal performance at the '94 and '95 awards respectively . The album has sold 32 million copies since its release. 14. 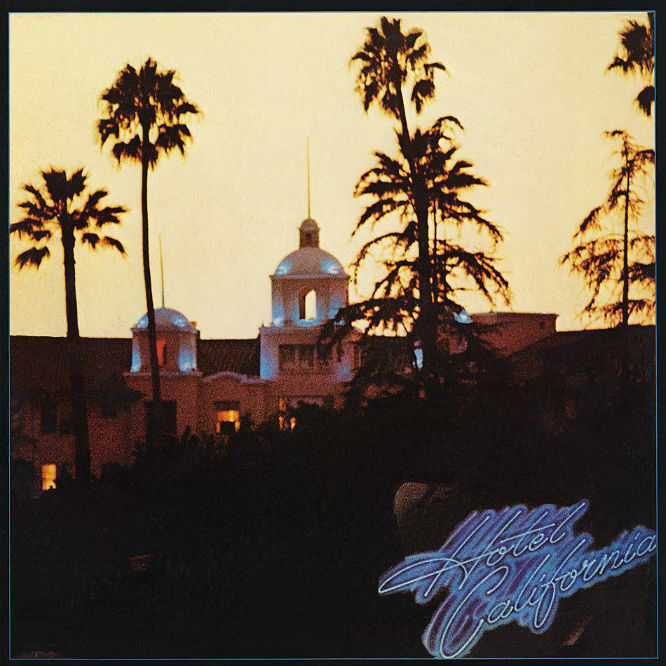 Eagles - Hotel California: Arguably the greatest of all Eagles album, the band's fifth LP was released in 1976 with the singles 'Hotel California' (everyone's Dad's favourite song) and 'New Kid In Town' earning the band two grammy awards. It also earned a nomination for album of the year, only lost to Fleetwood Mac's Rumours. The album has since sold in excess of 32 million copies. 13. The Beatles - Sgt. 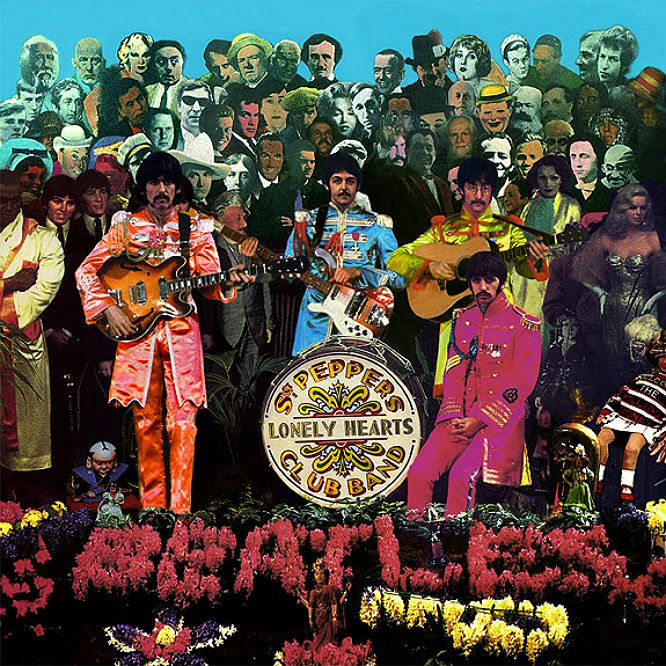 Pepper's Lonely Hearts Club: The iconic artwork, featuring cameos from Edgar Allen Poe and Marilyn Monroe among others, has probably earned The Beatles eighth LP a few sales, which now total over 32 million. The album was built around the concept of the fictional St Pepper's band in order to explore their new experimental sound, heard in 'Lucy In The Sky With Diamonds' and 'A Day In The Life'. 12. 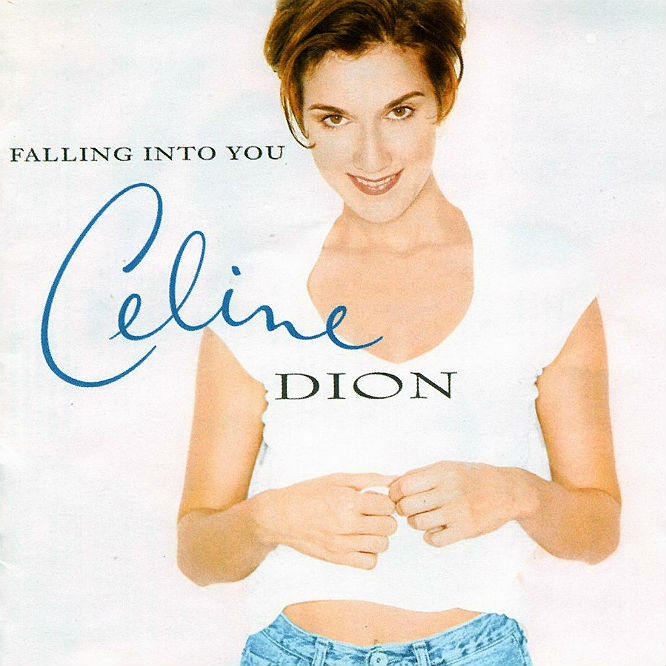 Celine Dion - Falling Into You: Five singles were released from Dion's fourth album, including 'Because You Loved Me' - the theme from romantic drama Up Close And Personal. It also featured the tearful ballad 'All By Myself'. The album won the grammy for the album of the year and has sold 32 million copies worldwide. 11. 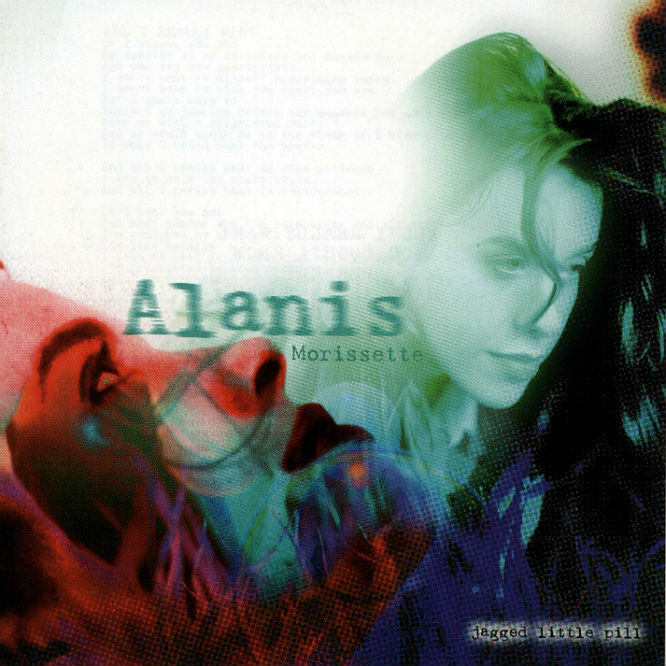 Alanis Morissette - Jagged Little Pill: The album, with tracks like 'You Oughta Know' and 'Ironic', was released in 1995, and revolutionised the music world for female artists. The angst ridden stormy songs on the album were praised for their ability to soundtrack young adults' turbulent experience of romance worldwide. It was nominated for 9 grammy awards and won 5 of them, including best rock album and album of the year. 10. 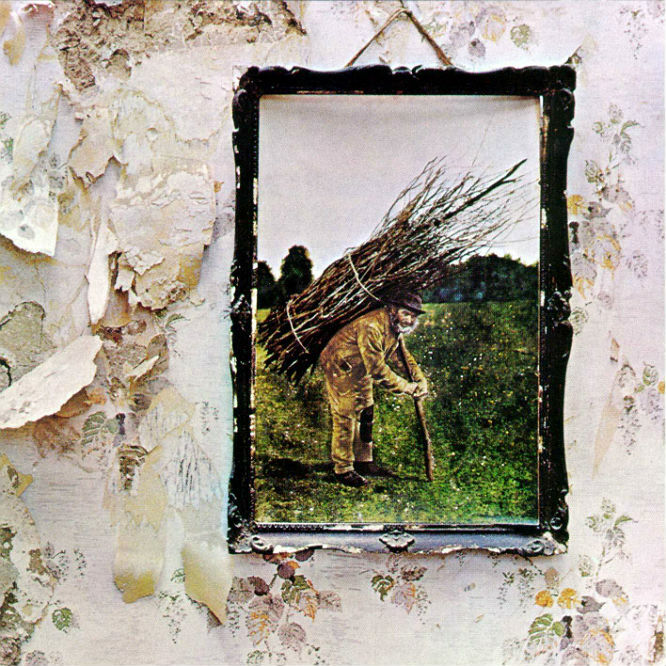 Led Zeppelin - Led Zeppelin IV: The album is actually untitled, but is commonly referred to as Led Zepplin IV. It was released in 1971 and featured no band name on the cover either, as the band wanted to remain 'anonymous'. It contains the band's signature song 'Stairway To Heaven', as well as famous tracks 'Rock And Roll' and 'Black Dog'. It's the most successful metal album ever and has sold a massive 37 million records since its release. 9. Shania Twain - Come On Over: Canadian singer Shania Twain came out with her third album in 1997. It's the best selling country album ever, the best selling album by a female artist and the best selling album of the 90s combined (phew!). Featuring the massive tracks 'That Don't Impress Me Much' as well as 'Man! I Feel Like A Woman' it has sold 39 million records since its release. 8. 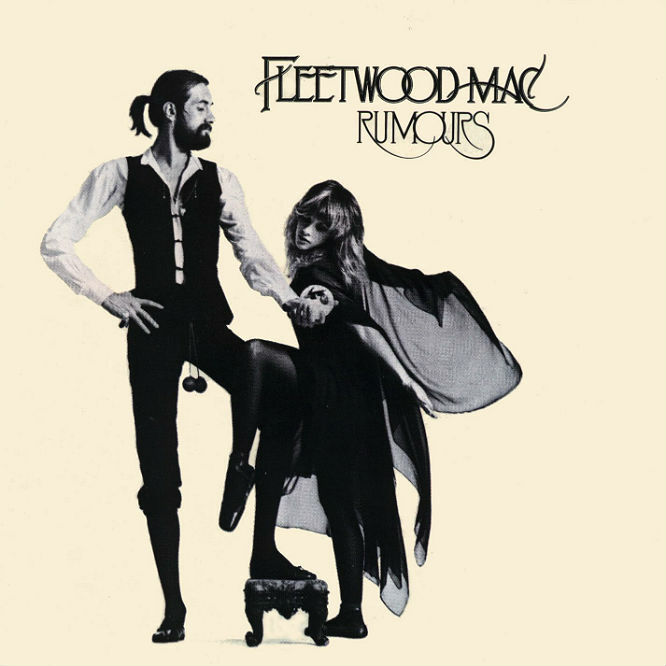 Fleetwood Mac - Rumours: Recorded to the backdrop of fraught relationships and crumbling marriages within the band, Rumours triumphed as the album of the year in 1977. Its lyrics are woven with the personal troubles of McVie, Nicks and Buckingham, often aimed at each other, but despite this tracks like 'Go Your Own Way', 'Dreams' and 'You Make Loving Fun' were hugely successful. The album has sold over 40 million copies worldwide. 7. 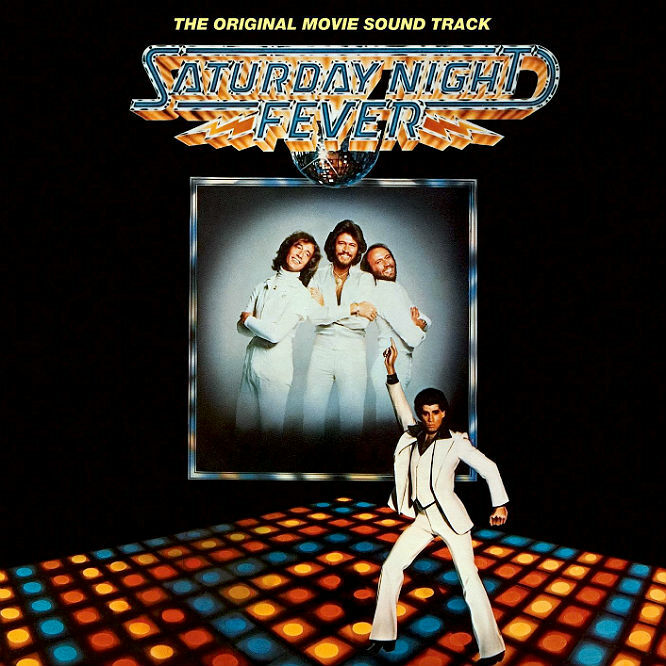 Bee Gees & Various Artists - Saturday Night Fever: The soundtrack to the 1977 film Saturday Night Fever shifted a huge 40 million copies. In the UK the album spent 18 weeks at number 1, with single 'Stayin' Alive' also hitting the top spot. The success of the album embodied the nation's obsession with disco. 6. AC/DC - Back In Black: Fittingly, the recording process of the rock band's seventh album was disrupted by the studio being hit by tropical storms. 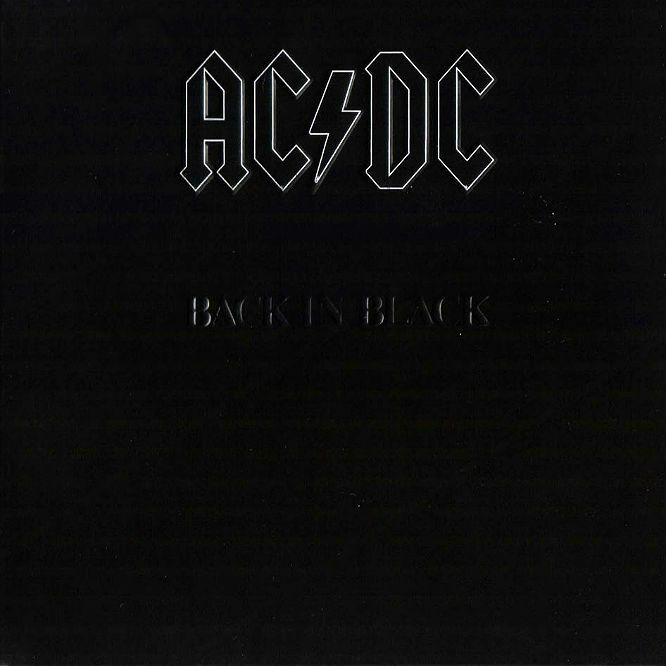 Additionally, the album's all black cover was designed a sign of mourning for their previous vocalist Bon Scott, who died before recording started. Featuring the singles 'You Shook Me All Night Long' and 'Hells Bells' it was a surprise hit, and has sold 40 million copies across the globe. 5. 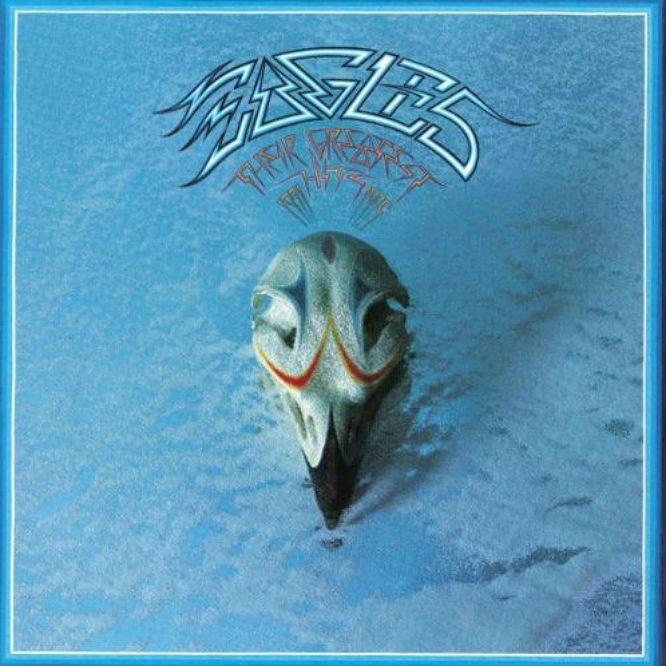 Eagles - Their Greatest Hits (1971-1975): Spanning only 4 years, the Eagles compilation record features 10 of their songs, all of which made the top 40 except from album track 'Desperado'. These included 'Take It Easy', 'One Of Those Nights' and 'Take It To The Limit'. It didn't even feature any tracks from Hotel California, as Greatest Hits was released in February and Hotel California was released in December of 1976. It has sold a massively successful 42 million copies. 4. 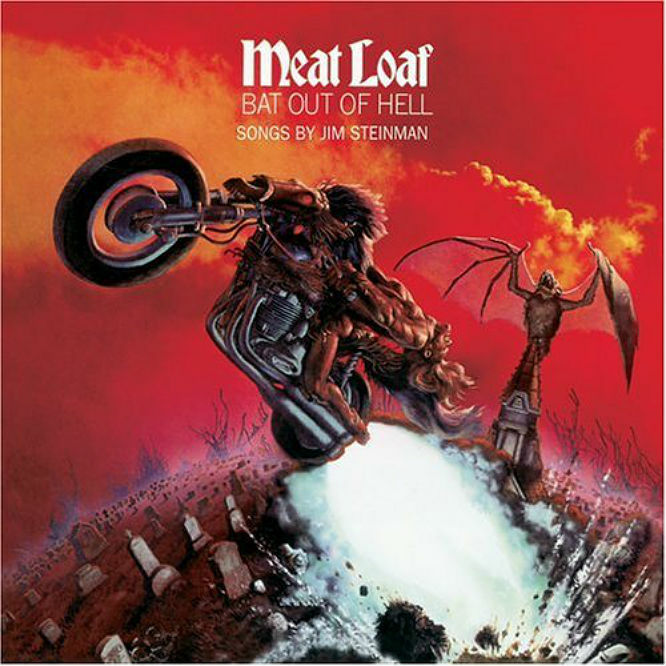 Meat Loaf - Bat Out Of Hell: A collaboration with composer Jim Steinman, Bat Out Of Hell was developed by Steinman from Neverland, a sci-fi musical update of Peter Pan (bizarrely). They struggled to find anyone to sign them at first, and there are probably companies kicking themselves, as Bat Out Of Hell went on to sell 43 million copies and launched the massive singles 'You Took The Words Right Out Of My Mouth' and the title track 'Bat Out Of Hell'. 3. 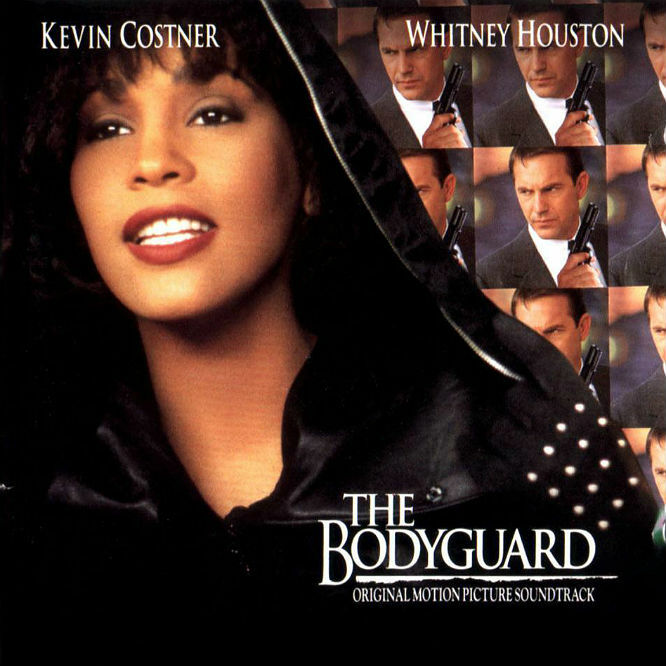 Whitney Houston & Various Artists - The Bodyguard: The best selling soundtrack ever, Whitney Houston featured on side 1 of the LP, with various other artists filling the second side. Released in 1992 along with the film, it went on to win album of the year and sell 44 million copies, launching Houston's biggest hit 'I Will Always Love You'. 2. 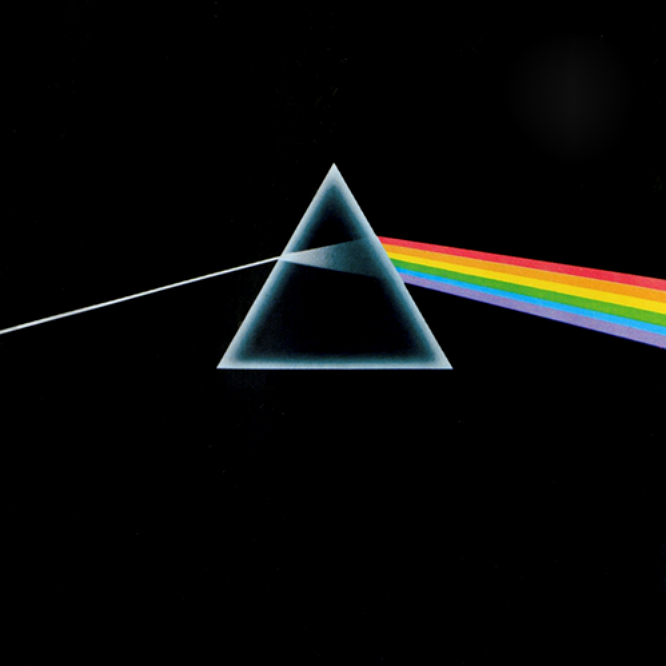 Pink Floyd - The Dark Side Of The Moon: Progressive rock hit an all time high with Pink Floyd's eighth album. The recording process used some of the most advanced techniques of the time, including multitrack recording and tape loops. The iconic album sleeve was designed after keyboardist Richard Wright's requested a 'simple and bold' cover. Featuring 'Money', 'Us and Them' and 'Time' the album stayed in the charts for 741 weeks and boosted by its now legendary status, it has sold 45 million copies. 1. Michael Jackson - Thriller: Seven singles were released from Jackson's sixth LP, all of which hit the top 10 . 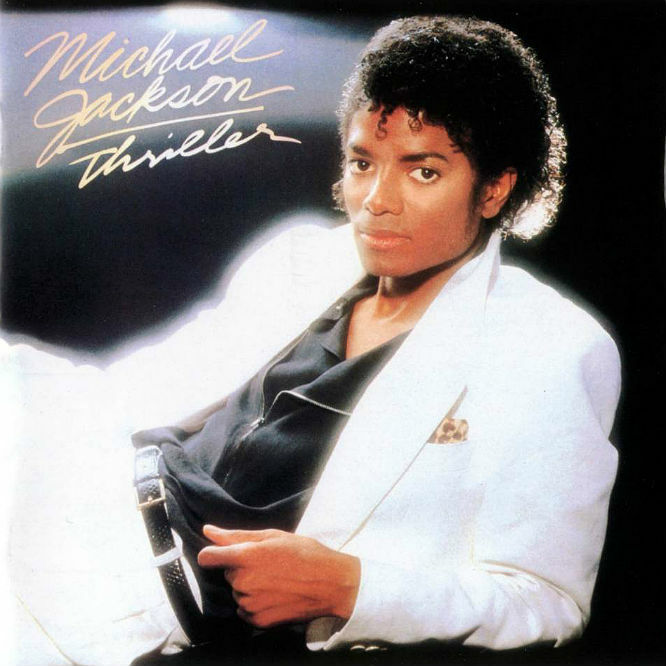 'Billie Jean', 'Wannabe Startin' Something', 'PYT (Pretty Young Thing)' 'Beat It' 'Human Nature' and 'Thriller' - the album is packed with hits and some of Jackson''s greatest songs. It was one of the first albums to use the music video as a means of promotion - with the video for Thriller becoming instantly recognisable after heavy rotation on MTV. The album cemented Jackson as a pop icon and has since sold between 51-65 million copies, dwarfing number 2 on this list's 45 million.